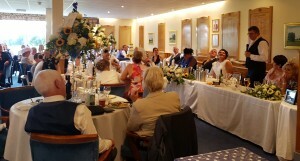 Gathurst Golf Club has become an extremely popular location for Banqueting and Conferencing in the Wigan area. Our facilities, impressive views and accessibility all combine to make it a truly inspirational off site venue. Wedding Fayres / Fashion shows. Come along and enjoy a beautiful par 70 parkland golf course. 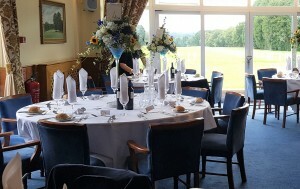 Parties from 8 to 88 are catered for and are most welcome to Gathurst Golf Club. If you require help to organise your day just call and we will assist where ever we can. The right environment for meetings is essential to sound business practice and here at Gathurst we can offer a relaxed and friendly environment. The staff will provide you with on site business facilities and a catering service that can be customised. We have a small meeting room that will hold approx. 20 Boardroom style or approx. 40/50 Theatre style then the main function room which will comfortably hold 100 in cabaret style. Full catering available with a wide choice of hot & cold buffets, carvery and fine dining. There is FREE CAR PARKING for up to 100 cars. The Clubhouse has recently undergone a full refurbishment and offers an environment where you can relax and enjoy your special occasion. We cater for up to 200 people. To book, please call the club secretary on 01257 255235, option 1, or use the Enquiry form.